After a controversial use of force related to a noise complaint at an apartment complex, some of the officers involved are facing punishment from their agency. 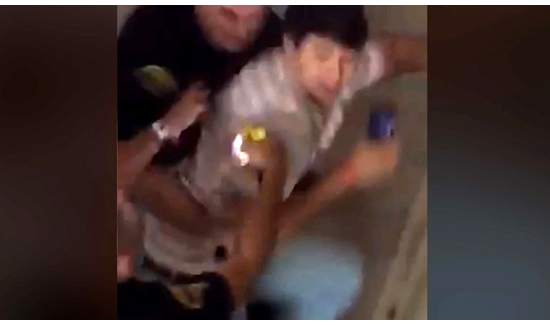 In a newly released video, Tuscaloosa officers are seen using a Taser stun gun and baton on students during a noise complaint. The department’s chief has announced that disciplinary measures have been taken against those officers. Matthew Gimlin Macia, 22, of Johns Creek, Ga. was arrested on charges of obstructing governmental operations and resisting arrest; Brandon James Williford, 21, of Tennessee was arrested on charges of obstructing governmental operations, harassment and resisting arrest. Caroline Elizabeth Giddis, 22, of Tennessee was arrested on charges of obstructing governmental operations and harassment. WATCH THE VIDEO and make your own call.